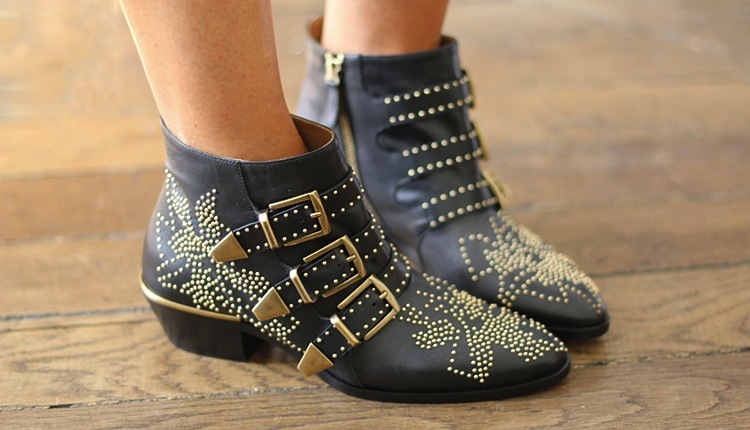 Many of us already love, worship and adore the iconic Chloe Susanna boots, (we also found this out from our best designer boots post!) but unfortunately not everyone is able to own a pair or hadn’t got around to purchasing them just yet. If you thought that the trend had set sail and we wouldn’t be seeing it again, you are definitely wrong! 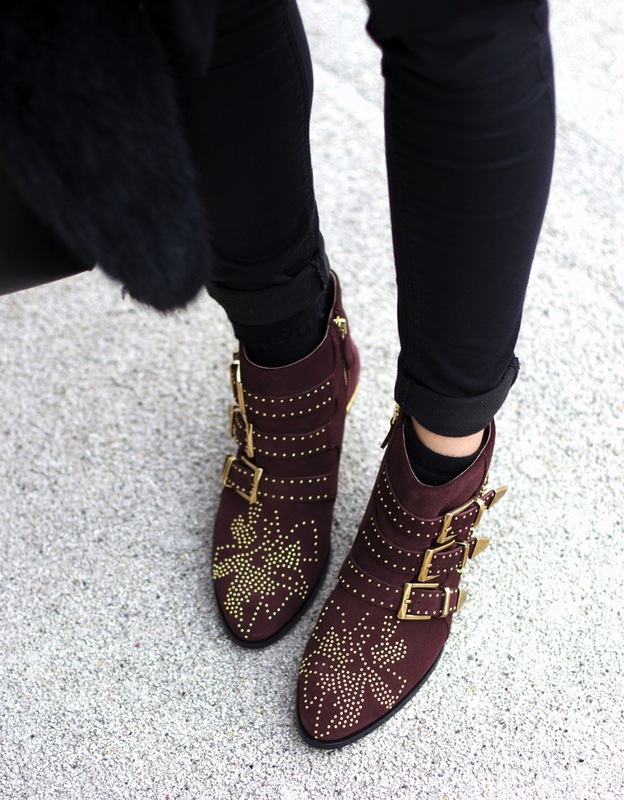 The Chloe Susanna boots are still as hot as ever and are trending big for 2016! You wouldn’t think that they originally got released in 2008 would you and were called the Susan? Yep, they have been around for that long, but it was only a couple of years ago after celebs and style icons started wearing them every where that they took off like hot cakes at a bake sale! 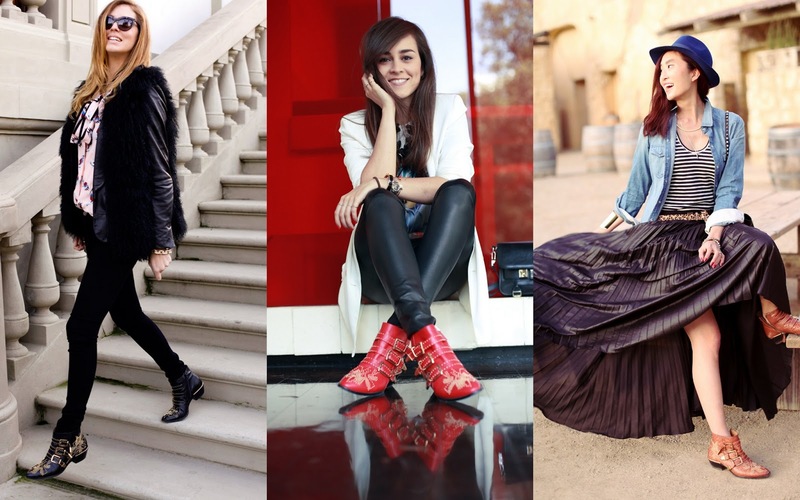 Image Credits: The Fashion Fuse, The Dashing Rider, Fashion Born, Oh My Vogue, Tuula Vintage, About A Girl, Lydia Elise Millen, The Closet Clause, Dressed 4 Dreams and Pinterest. Ok. 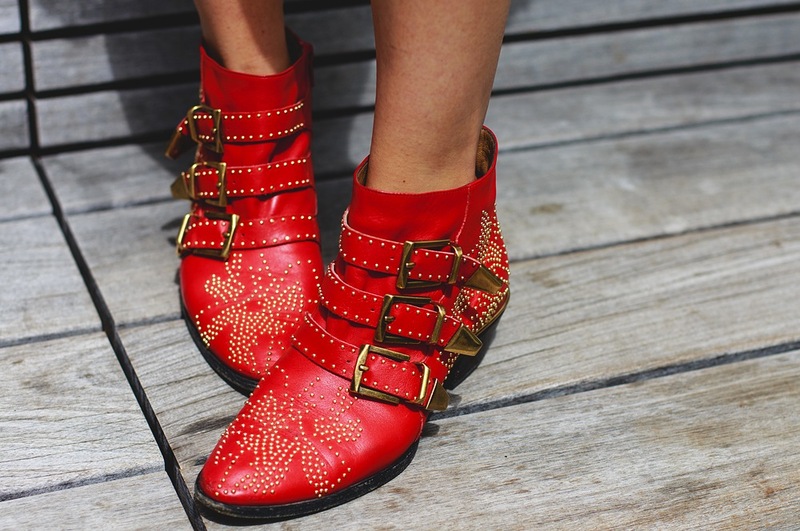 I have been OBSESSED with these boots for YEARS! I have owned them in almost every color. Depending what year they were made the sizes do vary. I have had 7.5’s be huge on me and then barely be able to squeeze into a 7. The leather definitely does stretch out but the toe shape is really the issue at hand. I have now just ordered these again in the Cherry Syrup color (STUNNING by the way), and got the 7.5. They fit absolutely true to size if you are planning on not wearing socks but would be perfect with tights (or a very thin sock). I now just got them in black (again) but ordered a size 8. I plan on wearing them with a thin to medium sock, so that’s why I went with the 8. I actually had to sell my 7’s in black because they were so tight and uncomfortable. These boots are definitely worth every penny though. I wear them with just about everything. Do some website hunting because once in awhile you can catch a great deal on them! I got the velvet burgundy ones and LOVE them!! They are amazing, aren’t they? Just bought black with silver hardware, size 9EU, which I understand is about an 8.5-8.0 US? So, so beautiful! Wondering though, the width is perfect, length seems fine, when I walk my heel lifts up just a bit, even with a slight tightening of straps. Wondering if this is a normal fit for these boots considering the ankle opening is a bit loose on all. Just don’t want to make a mistake in size before I wear them. Any feedback would be greatly appreciated. 🙂 I am normally a 9 IT, 8.5-9US. (finding the sizing at times with on-line orders a little confusing). Thank u! Hi Christine! I don’t know if you read my review above but I’ve owned about 6 pairs of these stunning beauties. I usually always take a 7.5 in every shoe or boot. These however are so inconsistent in size every time I buy them ( I think it’s due to the different styles that had changed over the years). But I have found that if these are fitted property your heel shouldn’t slip when you’re walking. I have these in an 8 in black and that’s what mine do. I also have them in cherry syrup in a 7.5 and there in zero slip and fit Ike a dream! I however like to wear thin socks with mine. These will also definitely stretch due to the gorgeous leather. So if they are running even slightly loose now be prepared to have them get even bigger over time. In the end it’s all about personal comfort though. If the heel slipping doesn’t bother you and they’re comfy then stick with what you have. Otherwise I would go down a size but be prepared to do some breaking in… they will seem a bit tight in the toe area for awhile! I hope this helps but either way enjoy these iconic stunners!!! Hi again Katherine! Just received the 8.5, and they fit like a glove! Just wanted to send a last thank u! Oh Yay!!!! So happy they fit better! Enjoy them and I’m glad I could help! do you recommend spraying them lightly with a leather protector at all? I don’t plan to wear them in snow or anything, thought I would just check with you since u have several pairs and are very familiar with these boots. No! the lambskin is so supple and I feel the spay would alter the leather. I NEVER wear mine in the rain. Even if it calls for rain I take my wellness to work. Again, it’s up to you but I didn’t want to put any chemicals on mine. Hope tie helps! ok, got it. thanks again and wishing u a great weekend!! I have not spent so much time on researching sizing as i did with these shoes, i was exhausted! I read all your reviews, thanks, and nailed it. Half a size down really is the way to go. I’m normally a 39 in 95% of my shoes across chloe, prada, aquazurra, manolo, fendi, but the 38.5 is perfect in these without feeling stupidly tight. I probably could’ve gone the 38 length wise, but as they are narrow it would’ve squashed even my narrow foot, with the 38.5 feeling firm yet not painful after the first day’s wear. The 38 might stretch, but there’s nothing worse than ill fitting shoes that need a good stretch to feel ok, but also may end up looking out of shape. Also i know that as we age our feet get slightly plumper and i plan on wearing these for YEARS to come. I wore them with little socket, thicker than stockings but thinner than gym socks. Hope this helps someone else out there because damn they’re a keeper.